There are many reasons to incorporate stone in your bathroom. Stone is very durable. It is also extremely beautiful. With options such as granite, marble, onyx and travertine, you are sure to find a timeless stone accent for your bathroom. There are many ways you can add stone to your bathroom, including installing a stone sink, vanity, bathtub and stone tile. 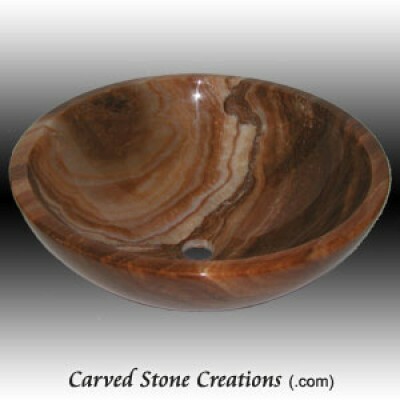 Adding a stone sink to your bathroom ensures beauty, sophistication and durability. 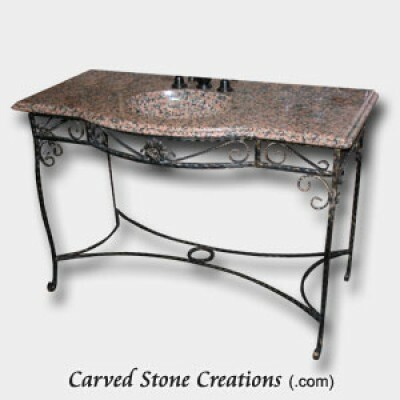 There are two kinds of stone sinks: pedestal sinks and vessel sinks. If you are looking for a sink to fit in a small space, or wish to de-clutter your bathroom, a pedestal sink is a great option. Carved beautifully from stone, pedestal sinks include a base, sink and (sometimes) a small vanity as well. View pedestal sink styles here. Vessel sinks are a fresh change from the traditional under mount sink and vanity. With a variety of stone types, colors and shapes available, vessel sinks range anywhere from a traditional to a rustic to a modern style. 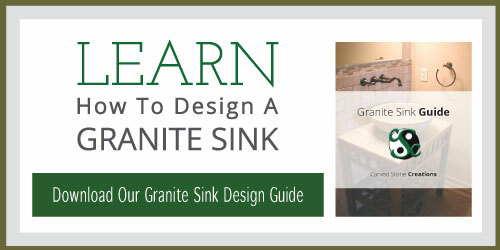 Browse our vessel sink designs here. Complement your sink with a beautiful stone vanity. A vanity provides more counter space than pedestal sinks, making them perfect for larger bathrooms. Natural stone will complement the unique style of your bathroom while ensuring longevity and durability. Shop our stone vanity selection here. If you want to add a true wow-factor to your bathroom, look no further than a stone bathtub. 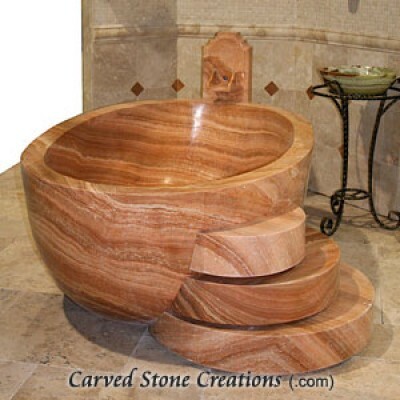 Stone bathtubs are true pieces of art. As they are designed for relaxation, stone bathtubs are also very comfortable and roomy. View our stone bath tub designs here. Stone tiles are the perfect way to add grandeur to your bathroom that will last for decades. You can add tiling to the floors, to the walls or even to enhance a walk-in shower. If you are looking for even more charm, accent large tiles with a mosaic or medallion. View some more stone tile designs here. Incorporating stone in your bathroom will create stunning aesthetic and durability. For more ideas on how to use stone in your bathroom, check out our Kitchen and Bath Idea Gallery or contact us.